As part of the National Innovation and Science Agenda, five landing pads are to be set up in global innovation hotspots with the aim of helping Australian entrepreneurs build successful businesses. The government has already announced landing pads in San Francisco and Tel Aviv, while the sites for the final two are expected to be announced shortly. Consultations will take place with the Chinese government and other “local stakeholders” on the proposed Shanghai scheme, the government said in a statement. Announcing the latest selection, Minister for Industry, Innovation and Science Christopher Pyne, Treasurer Scott Morrison, and Minister for Trade and Investment Steve Ciobo said Shanghai was being positioned by the Chinese government as a global centre for technology, innovation and entrepreneurship. 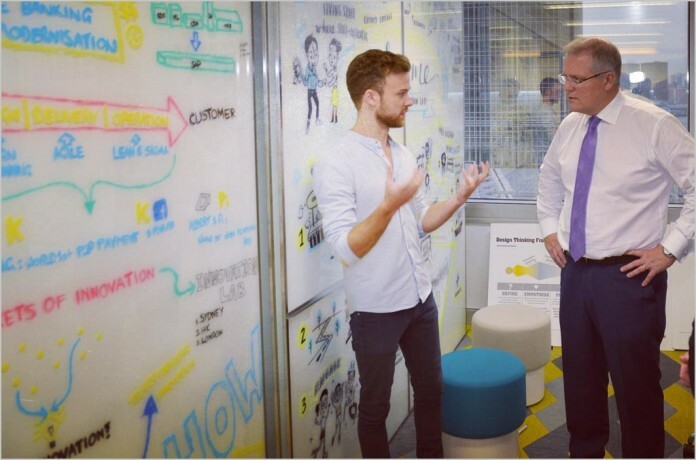 “Entrepreneurs accessing the landing pads will be assisted to commercialise their products and services through access to the expertise, infrastructure and innovation and marketing networks of local partners,”Christopher Pyne said. Landing pads are a “key component of our agenda”, he added, because they will promote international collaborations and enable emerging Australian companies to leverage local entrepreneurial expertise. Scott Morrison, who is currently in Shanghai for the G20 Finance Ministers’ and Central Bank Governors’ meeting, said recent changes to the city’s labour market are opening its economy to further opportunities for Australian entrepreneurs. “These changes have attracted the global attention of investors and entrepreneurs with an eye on China’s 618 million Internet users and 300 million e-commerce shoppers,” he said. The Treasurer added that China’s rapid economic growth and increasing centrality to the global economy make its markets an exceptional opportunity for Australian businesses aiming for global scale and impact – particularly as Australia’s services-oriented economy is “stepping up to the wicket”. Steve Ciobo predicted the Austrade-delivered landing pad would further strengthen Australia’s trade relationship with China. Shanghai is the largest city by population in both China and the world. It has a population of over 24 million as of 2014, and is a global financial centre.